An air hose can crack or puncture for a variety of reasons, and they oftentimes break in very inconvenient spots. The risk of injury or fatality when dealing with compressed air equipment adds to the problem. If you have the right parts and tools for the job, you can make your air hose work as good as new in just a few minutes. •	Shut off the air supply by disconnecting the air hose or turning the valve to the “off” position. •	Loosen the air hose fitting clamp with a screwdriver. Gently twist and pull both the fitting and the clamp off of the air hose and set them aside. •	Cut the air hose about an inch below the break or puncture with a utility knife. Hold the hose down against a hard, flat surface with one hand, and use a sawing motion with your cutting hand. Discard what you cut off. •	Put the clamp back on to the air hose, followed by the fitting. Push the fitting all the way in and tighten the clamp back down about a half-inch from the end of the hose. 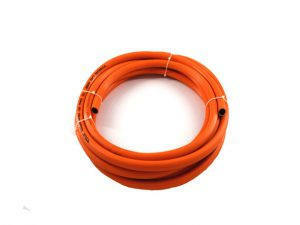 The previous article：What Is a PVC hoses Used For?